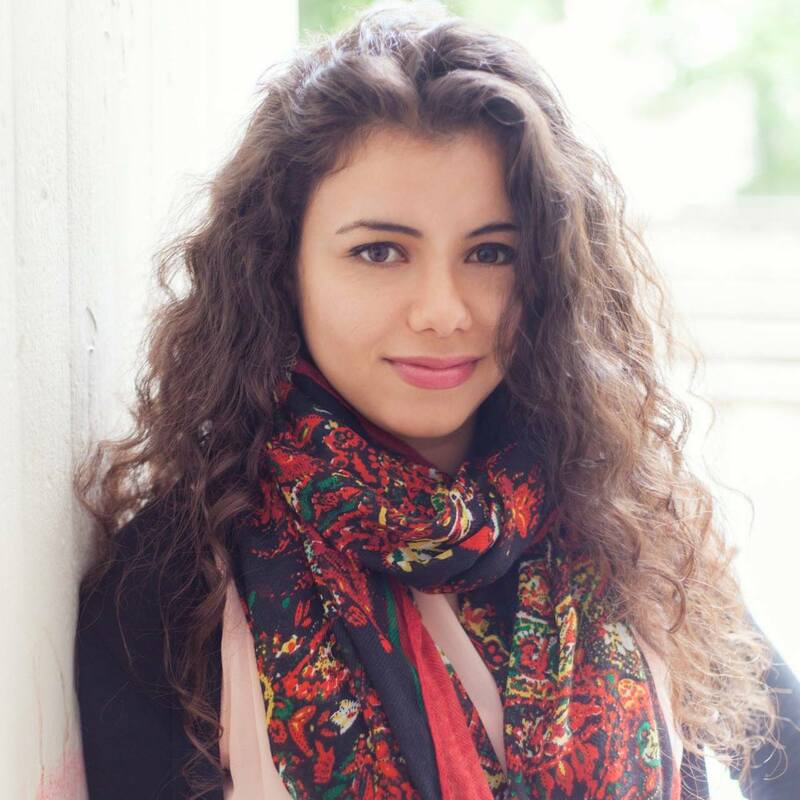 Javier Collado Ruano: Dear readers, it is a pleasure for me to introduce my friend Aya Chebbi, a well-known Pan-African Tunisian blogger and activist. I met her during the Global Citizens Movement of CIVICUS World Alliance, which took place in Johannesburg late in the year 2013, and I am still impressed with all her achievements. She is the founder and chair of the African Youth Movement and the co-founder of the Voice of Women Initiative. She was named as one of Africa´s most Outstanding Young Women leaders in 2013 and she has recently won the Young Achiever of the Year Award of the African Achievers Awards recognized by the Forbes. She previously worked at the refugee camps during Libya’s civil war, at Bureau de Cooperation Tunisie-Denmark on youth development projects in Tunis, and at the Carter Center monitoring 2012 Egyptian Presidential Elections, in Cairo. However, she was unfortunately blacklisted and banned from entering Egypt since March 2014. Ma chère amie, merci beaucoup pour partager votre temps et expérience à la Journée Internationale de la Jeunesse. My first question is obvious: Where does all your transformative energy come from? What is the secret to become a world-renowned blogger? I use my blog Proudly Tunisian as a medium. Blogging for me is thinking out loud, telling the other missing side of the story and exercising one’s freedom of expression. JCR: I am in Salvador de Bahía finishing my PhD research focused on Global Citizenship Education and I have to confess you I am a big fan of the African philosophy “Ubuntu” because it inspires me to understand better the co-evolution between living beings and our environment. How has Pan-Africanism encouraged you to become an international socio-political activist? AC: As a Tunisian traveling around the continent, I am usually perceived as an outsider of the continent’s common struggles and history. My mission has become to re-define Pan-Africanism through bridging North Africa with the rest of the continent beyond colonialism and post-colonialism. I want to bring together and connect African youth who will be taking over the leadership of their nations in few years, and restore indeed our values of African humanism Ubuntu and togetherness so that together we can develop Africa as a continent and not as separate nations. JCR: When and why was the idea of African Youth Movement (AYM) born? AC: I started the AYM about two years ago just as a Facebook Group that brought together all the inspiring Africans I met in different parts of the world, inside and outside the continent from all walks of life. After I attended the Intergenerational Dialogue with African Heads of states, which was an event organized within the auspices of the 50th Anniversary of the African Union, I discovered that youth marginalization in Africa is a real issue. I have had this vision that, in our shared marginalization as young Africans, we could develop a sense of common identity and a critical consciousness that would enable us to challenge the status quo. That is how AYM was born. A few months ago, I decided to take AYM to the next level and nurture a movement that would grow this common identity with strategic collective response to our problems. The first step was to come together as Africans instead of working in silos, express our concerns and discuss viable solutions. The idea was not to create something new but rather “to connect the dots”, to connect all the existing movements, formal and informal groups and networks around the continent and join forces in creating a new action-oriented movement. I organized a series of Google Hangouts through which we shaped together our shared vision, values and objectives. Many inspiring young Africans availed themselves to working with me to make this vision a concrete reality. AYM has become a movement of young thinkers and visionaries, trying a different approach towards the realization of Africa’s economic, social and political prosperity. JCR: What kind of activities are you developing at AYM currently? AC: 2015 for AYM is its foundation year to gather as many young Africans around its vision. We are not an NGO that implements projects, we are a movement that provides the support, mentorship, networks and empowerment of ideas and solutions. We aspire to be the vision that connects the struggles and unites the voices of African youth. We have 7 committees at AYM centered around, Education, Employment and Entrepreneurship, Gender, Environment and Sustainable Development, Governance and Transparency, Agriculture, Peace and Security. These committees are opening critical conversational spaces for African youth. We are also working on establishing AYM Hubs in all the African countries to connect more with young Africans at the grassroots. During this year’s Africa Day, we flagged off a campaign dubbed #AfricaSmile which allowed Africans to celebrate their diversity and positive stories. The Campaign was very successful and featured on various channels such as Kenya’s Capital. We will be soon launching another campaign with the theme of anti- corruption in Africa. It will be very unique and creative so watch out for it. JCR: So, I guess those activities have many links with the Voice of Women Initiative (VOW) programs, right? How many people are involved at VOW initiative? AC: Indeed many of VOW supporters are AYMers. Both VOW and AYM work on changing the narratives but VOW is more about changing the feminist narrative. Beyond the clustering of gender identities as either poor, wealthy, widowed, healthy or abused, we aspire to empower women to give their deep personal perspectives no matter how unpopular. We break the editorial gate-keeping for women to share stories that evoke self-understanding of the other, stories about what should be done to shape thought and action for women. VOW has become a platform to empower women and girls to tell their own stories in their own words. We have 35 outstanding correspondents from all around the world, passionate women about reporting under-reported issues in their communities. This year we want to grow our project to reach 50 correspondents and provide them with online and face-to-face trainings and mentorship in reporting and digital storytelling. In the quest to solidify the project and ensure that it is sustainable and able to meet its objectives, we rebranded, under the immense support of the Digital Participation Camp 2015. We will now have a secure website and better tools to promote this mini-narrative about women and our personal identities. JCR: I remember during your speech at the CIVICUS, Concord, DEEEP, and GCAP Forum in South Africa you said, “the Arab Spring was a media construct. In Tunisia we call it the Revolution of Dignity”. What is the role of the Internet in the twenty first century to empower youth generations? AC: I have been saying this since 2011, the “Arab Spring” is a Western narrative. Tunisia’s revolution is different from Egypt, Libya, Syria and other countries. Putting all countries under one basket called the “Arab Spring” is not innocent. It’s part of the media propaganda to draw attention to a region where people’s lives started to matter. There was even a book called The Arab Awakening. As if we were sleeping and suddenly startled awake! undermining the entire social justice struggle in Tunisia which started with the revolt of the Gafsa Mining basin in 2008 and every other conscious political revolt in North Africa and the Middle East. JCR: I have read that you and your team have received the support of the North-South Centre of the Council of Europe and the European Union to record the documentary “Kenya´s conscious transformation”, where you gave visibility to African youth and women leadership solving problems that mainstream media doesn´t feature. How long did it take you to record it? AC: “Africa Inspire” project was indeed supported by the North South Centre to produce a long documentary called “Kenya’s Conscious Transformation,” which highlights the role of women and young people in Kenya’s post election peace process. I ventured into an unforgettable journey in Kenya, where I recorded the footage for one month with a great Kenyan team of two, Rose Wachuka who is also a VOW co-founder and on AYM’s Advisory Board and Joshua Ogure who is a UNAOC-EF Summer School alumni and was recently selected to take part at the IREX community Solution Program. The project was inspired by an innate need to showcase positive attributes about the continent, one country at a time. Kenya at that time had concluded its 2013 General elections which though challenged before the Supreme Court, had been peaceful. Mainstream, foreign Media however seemed fixated on the unfortunate 2007/2008 post-election violence and completely under reported the 2013 peaceful process. My larger aspirations of which the documentary has been the first step, is to change the narrative about Africa… the Africa I see from the lens of inspiration not desperation. Besides, coming from the region where we have been going through a lot of hard times… where everyone around me seems to have lost hope in peace because of the rise of terrorism on a precedential scale… where young activists are falling into desperation, breakdowns, and many times are completely burned-out… It was not a surprise that some of them turned to the usage of violence as the only language that could be heard and perhaps understood. And I thought that young people need to see successful models and positive stories to reflect on their understanding of violence and its dreadful impacts. JCR: Do you have in mind to record new ones in the future? AC: Absolutely! Rose and I are thinking about shooting other documentaries in Cameroon or DRC. Two countries that we don’t hear much about their inspirational success stories but we know of amazing people doing extraordinary things there. I also see Africa Inspire, as a project that is owned by African youth across the continent to produce documentaries in their own countries and tell their stories from their own lenses. JCR: After your long experience travelling over 20 African countries and many more others around the world, what does global citizenship means to you? AC: Traveling with a Tunisian passport is not easy. Most of the time, the bureaucracies are very humiliating. I used to say it’s sad that we have these geographical boundaries. I think now that it’s annoying and humiliating. It is part of the world system of social injustice. So I cannot associate global citizenship with borders but I see it more as a belonging to a community of global diversity from around the world without borders. The more you meet and connect with people from other parts of the world, the more you realize how similar you are, how much in common you have, how many common struggles you share and how much you can do together and learn from each other. Global citizenship for me also comes with shared responsibility. If we are to belong to a global community, then we need to act together for the protection and betterment of that community. JCR: How do you think all youth leaders around the world could contribute to achieve the Sustainable Development Goals lead by the United Nations in the post-2015 agenda? AC: Young people are doing a great job in lobbying for priority issues to be on the post-2015 development agenda. The next most important step for young people, I think, is holding the world leaders accountable to their commitments. This is not the first historical moment where world leaders gather to decide amazing things perfectly written on papers. But how far they have gone in the implementation of these commitments? I urge young people around the world to focus on this phase. JCR: “Achieve gender equality and empower all women and girls” is the fifth goal of the post-2015 agenda. 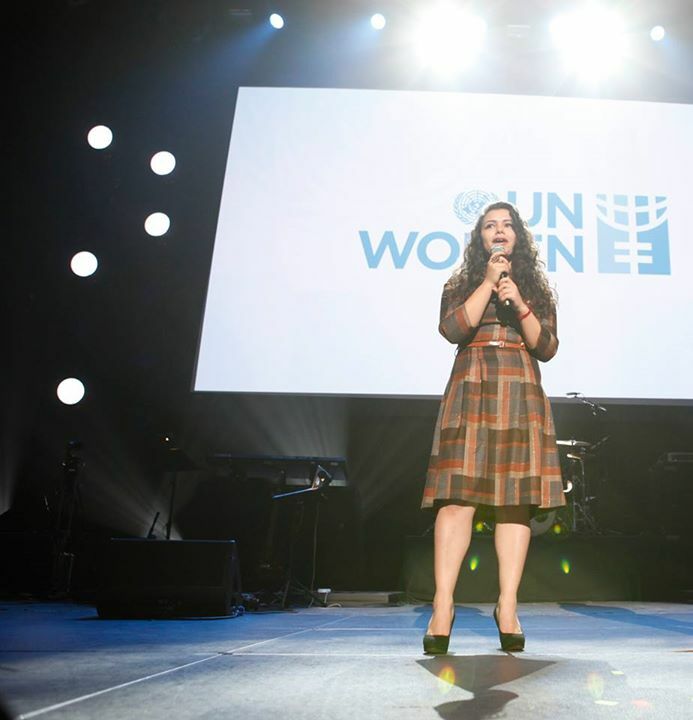 You were invited from UN Women to speak at the commemorative event of the 20th anniversary of the Beijing Declaration and Platform for Action. Tell us more about such experience, what kind of people did you meet there? What were the greatest challenges discussed to face gender inequalities by 2030? AC: Unlike some of the events where I leave very frustrated from the slow process of the UN, perfect program for the perfect audience, and unsatisfying outcomes, this was one where my voice was heard and hopefully carried many of the concerns of my generation especially of Africa and the Middle East. I was inspired, agreed with some statements and criticized others, met with Ban ki Moon, Hillary Clinton, Ellen Johnson-Sirleaf and other influential figures. But the one speaker whom I think stood out was Maysoon Zayid. She was on the stage a few minutes after I presented my speech and she said “don’t leave women with disabilities behind”. I was so proud of her and the different image she represents for Arabs and people living with disabilities. 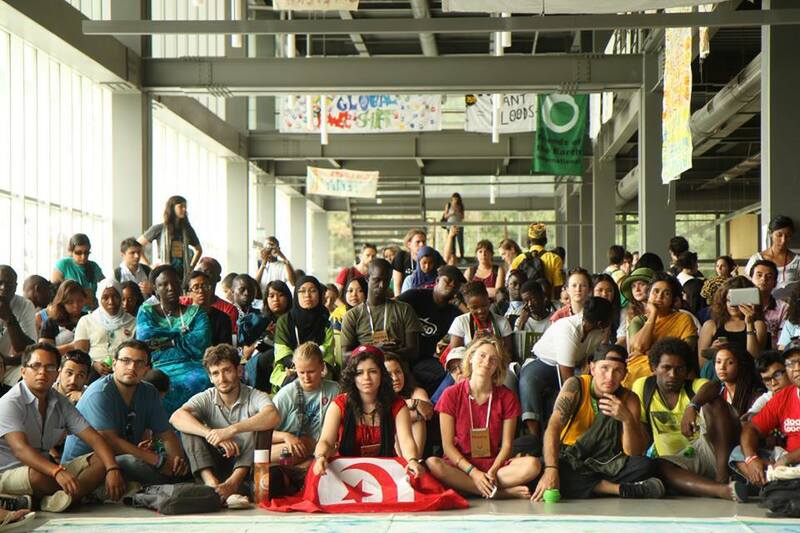 JCR: What is your message to young people at the International Youth Day? AC: We will be in those leadership positions sooner or later as those in power will not last forever so let’s all get well prepared. Small or big, make an impact in your community, while aware that we have the power and duty to positively change our societies and advance our nations. Let’s harness our energy, passion and creativity in bettering humanity not destroying it. JCR: Merci beaucoup. I am very happy to have shared your worldview with thousand of our readers Chebbi. Your youth activism is a necessary energy to shift the paradigm that global citizens are demanding to achieve the SDGs. I hope this interview has inspired and motivated all of them.